Probably you have heard of, or own, abalone jewelry and it comes from the large Abalone shell. 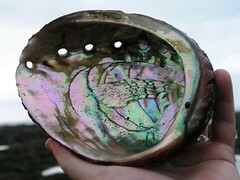 Abalones have an iridescent shell (inside) that is collected to use for making jewelry and other things. Because they are much sought after for these uses, certain species have been greatly depleted. The single characteristic of the Abalone shell that stands out most prominently when collecting shells, would be the row of holes along one edge of the bowl shaped shell. 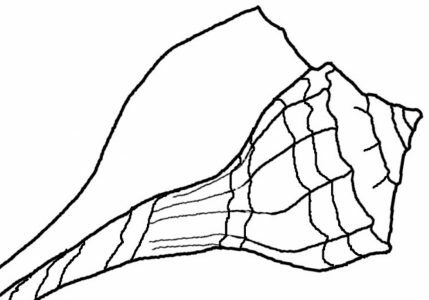 Many can be found along the Pacific area of North America, including the largest species, but this mollusk is also abundant around Australia and New Zealand and in western tropical areas of the Pacific.